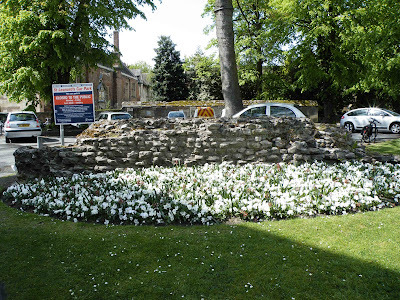 There are few Roman remains left in York....but what is still visible gives us a tantalising look back into the pre-Norman conquest history of the city. 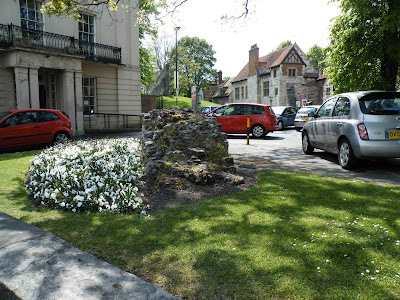 There is apparently even more of Roman York that remains buried beneath buildings and roads that will probably never see the light of day...so we'll have to make do with the 'odds and ends' that are dotted around the city's streets. The Roman fort of Eboracum sits on land where the rivers Foss and Ouse meet, making an effective defensive plateau (even thought it dramatically floods from time to time) Eboracum sits at the centre of a very effective network of roads, forts and towns, and would have enabled the occupying Roman army to maintain control of the unruly Northern areas of Britain. The fort enclosed an area of around fifty acres, not including the vast town town that grew up outside the fort's walls. The fort had four gates in the centre of each wall, and its vast defences consisted of earth and clay ramparts topped with a wooden palisades, and outer ditches and berms providing additional defence. Above. A surviving portion of the fortress wall at Exhibition Square. 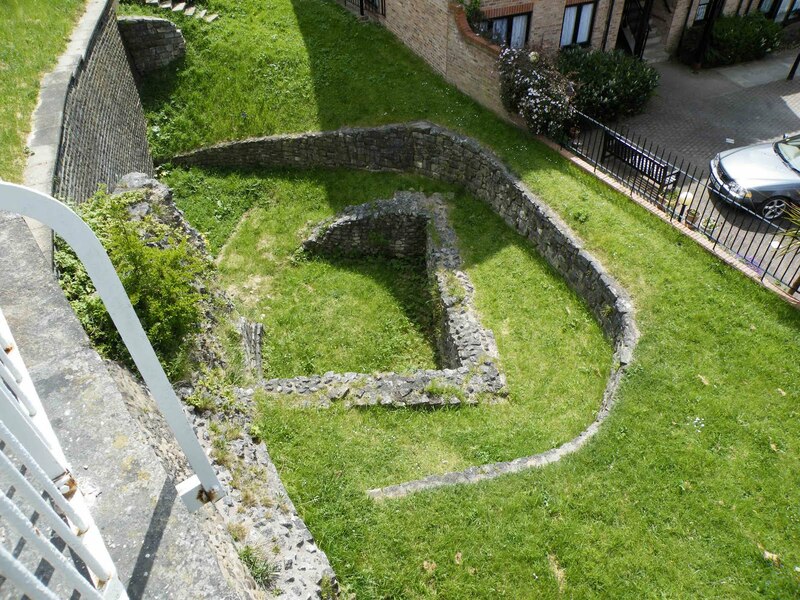 It's thought that this small portion of exposed wall, represents part of the fortress wall, possibly linking up with the Multangular tower in the Museum gardens....it's certainly on the same alignment. Above. A side view of the wall at Exhibition Square, showing how thick it was. This bit of wall is about fifteen feet long, and about four feet wide. If you look carefully in the distance, between the building on the left and the building on the right, the medieval wall can be seen on top of its earthen rampart. It's interesting to note, that this fragment of Roman wall appears to be on exactly the same axis as the medieval wall. Above. 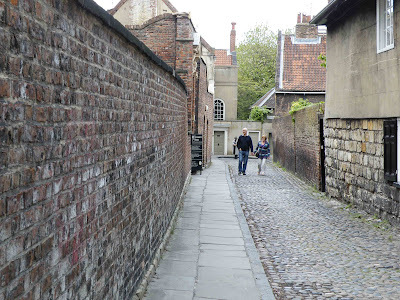 A view along Chapter House Street near York Minister. 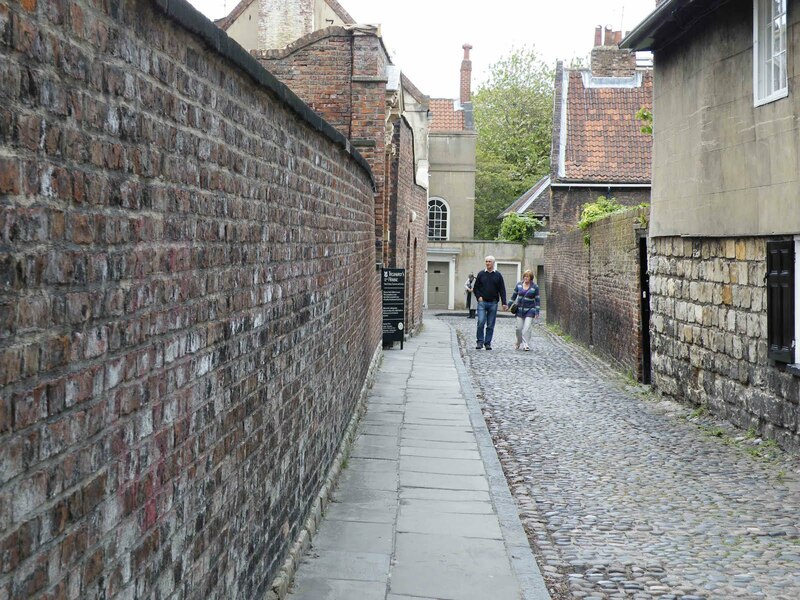 According to a sign on the wall this street follows the course of the Via Decumana, a Roman road running from the headquarters of the fort here at York, to the North East gate. Above. Roman interval tower remains below the wall along St Maurice's Road. The interval tower shown above, was excavated in 1926 and the heavily consolidated walls left exposed for us to see. 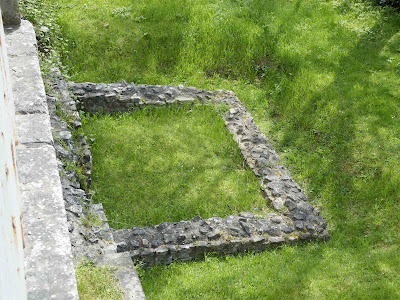 The angle tower shown above, was excavated in 1926 and the resulting walls were left uncovered. Heavily consolidated, these walls have been dug out to a depth of around two metres. Also to be seen here, although not from this angle (high up on the wall) is a portion of the curved fortress wall, appearing from the medieval walkway above it.